Water conservation is a facet deserving of a spotlight in the game of sustainability. 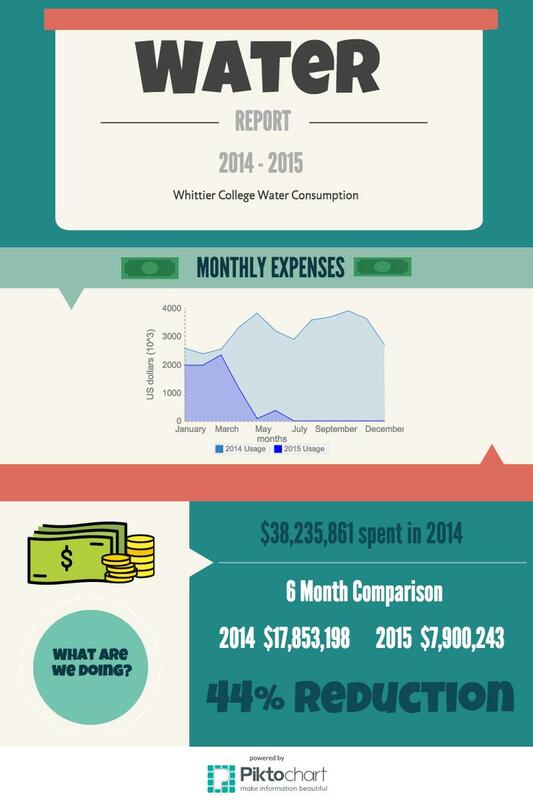 Whittier College has been fully aware of this and is active in trying to maintain a sustainable and water conservative environment on campus. But just as is the case with most things, there are a particular set of hurdles to jump over. For Whittier College, issues arise within the college’s long-standing buildings. Since Whittier College is a fairly old campus, the water systems were distributed around campus in a non-parallel fashion. Although it would be ideal to replace all of the old systems, the funds needed would be substantial. Therefore, the best way to continue leading our campus to becoming more sustainable would be to improve in increments of time. Installing dual flush toilets, low shower heads, and newer drinking fountains are just a couple of the efforts the college has accomplished. Future initiatives in terms of educating and raising awareness on conserving water is also being taken into account.